Save all your Email files as RTF for easy backup! 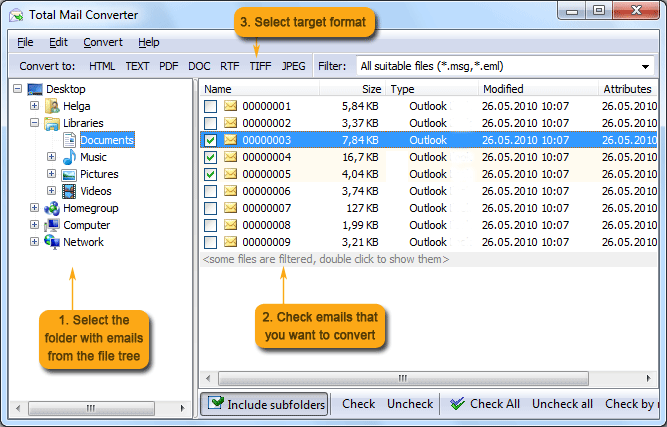 You are here: CoolUtils > Total Mail Converter > Save all your Email files as RTF for easy backup! How to Convert Email to RTF? You might wonder, why convert email to RTF. Here’s the answer: files saved in rich text format are easier to handle! You might ask why use special software for conversion and not simply copy and paste the emails. Here’s another answer: copying and pasting is efficient indeed, but it takes lots of time. Automatic conversion, in its turn, is easy and quick. 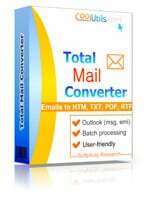 The best tool for conversion of emails to RTF is Total Mail Converter. Having been developed by CoolUtils, this program is efficient, easy-to use and affordable. You will be surprised at how quickly and functional this email converter is! With the help of CoolUtils converter you will be able to convert MSG and EML files into RTF and many other formats (TXT, PDF, HTML, DOC, and TIFF) in batch! 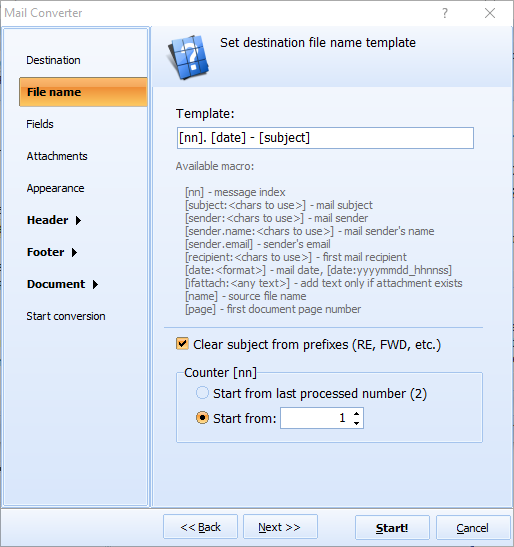 To convert email to rich text format, you will have to take only a few simple steps. Step 1: Download Total Mail Converter Visit the official website of CoolUtils, select Total Mail Converter from the list of products and download the program. We strongly recommend that you check out the free trial version first! 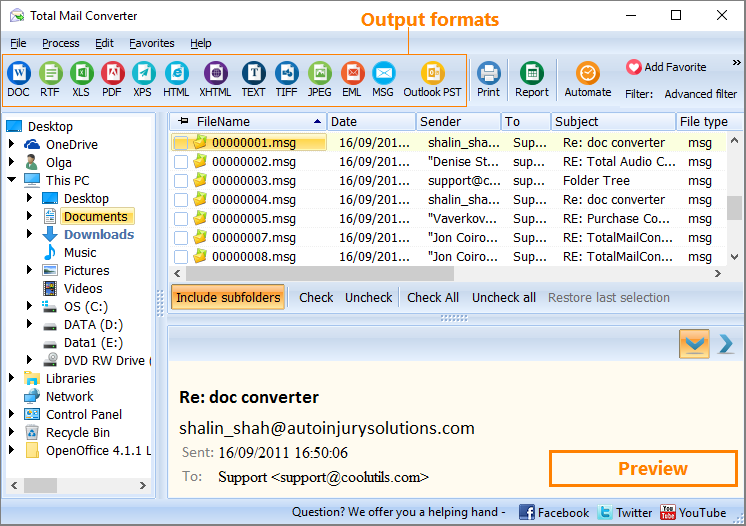 However, if you have already used CoolUtils software, you are more than welcome to purchase Total Mail Converter. Step 2: Install Total Mail Converter Unpack the TotalMailConverter.exe file you’ve downloaded and follow the instructions of the installation wizard. Step 3: Launch Total Mail Converter That’s easy: either choose Total Mail Converter from the Start menu or double-click on the icon located on your desktop. 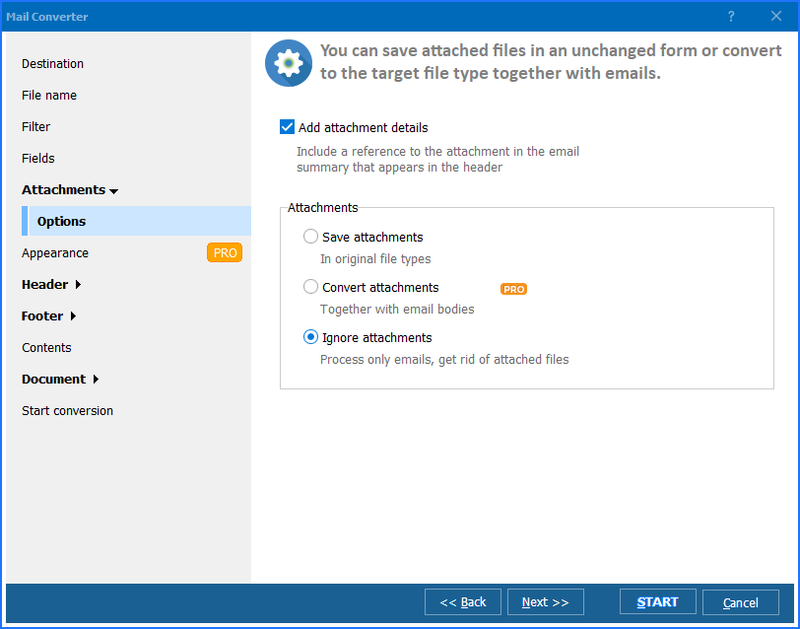 Step 4: Choose emails for conversion Total Mail Converter automatically shows you the list of emails found in selected folder. Step 5: Set RTF as target format Simply choose RTF from the list of target formats and click “Start!” to begin the process. 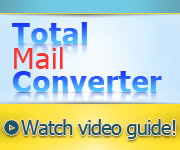 Download your free trial version of Total Mail Converter now! The program can be used for 30 days and for free without obligation. Convert EML to RTF for backup.